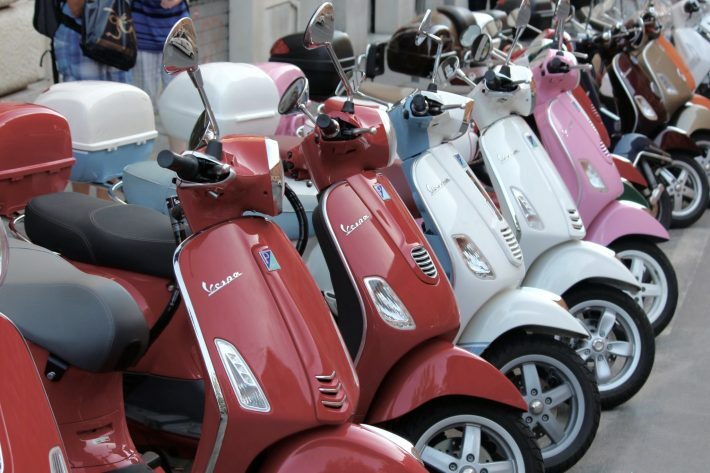 Get a quote for your Vespa scooter today and we’ll compare prices from our panel of leading UK insurers to find you our cheapest premiums with the cover requirements you need. Whatever you ride, from the Vespa LX50 to the Vespa GTS300 Super, we’ll find the best price for you – and if you take out Vespa insurance, you’ll get 10% off at leading bike retailer SPORTSBIKESHOP. 24/7/365 UK-based Claim Line, there for you if you need it! What can I expect to pay for my Vespa scooter insurance? Vespa (meaning ‘wasp’ in both Italian and Latin) originated in Italy and was created by Enrico Piaggio, son of Rinaldo Piaggio (Piaggio’s founder), when he saw a need for inexpensive and modern transportation for Italians after the Second World War. When Piaggio saw his first scooter design he is alleged to have cried “Sembra una vespa” which translates into English as “it looks like a wasp”. The brand name Vespa was born. The iconic Vespa design sees the engine placed beside the rear wheel, allowing for a complete through of the scooter. It also has large floorboard footrests and a large front fairing designed for wind and splash protection. Vespa featured heavily in the Mod subculture of the 1960s, with many Mods adopting customised scooters by either Vespa or Lambretta as part of their style. These scooters were cheap to buy and run for British youths who found themselves in low-paying jobs. Vespa’s low running costs and iconic design make it a hugely popular model today, with many restored Vespas in circulation throughout the world. 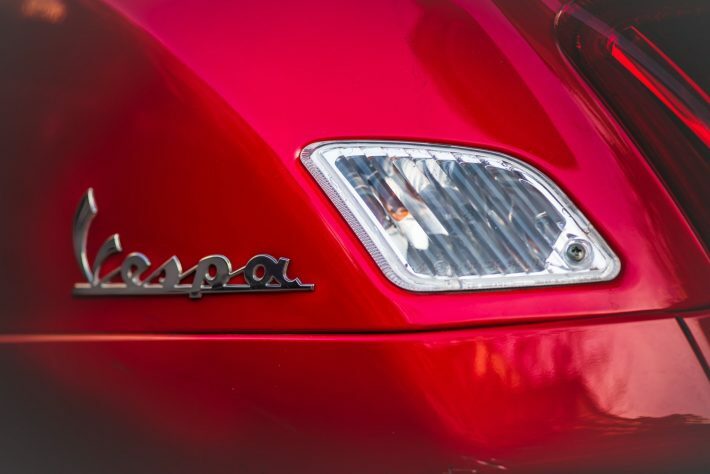 Some of the current models include the Vespa LX 50, 125 and 150 (representing their respective engine sizes). Their top speeds are low and fuel efficiency is spectacular. The Vespa GTS 250ie (with GTS standing for Granturismo Sport) has an engine size of 244cc and a top speed of 73mph, with re-stylings including the GTS300ie – which is reported to be a response to Honda’s SH300i. If you need Vespa insurance, it couldn’t be simpler to get your quote. We advise that you gather information including your driving licence, details about your Vespa bike and any No Claim Discounts you’re entitled to. We’ll also need information about your mileage, occupation and address, along with any security, accessories or modifications. If you’re still unsure about certain aspects of our Vespa insurance, head over to our insurance guide for more information. Devitt can help you find cheap Vespa insurance today. Call us on 0345 872 3614, or you can get an instant quote online.